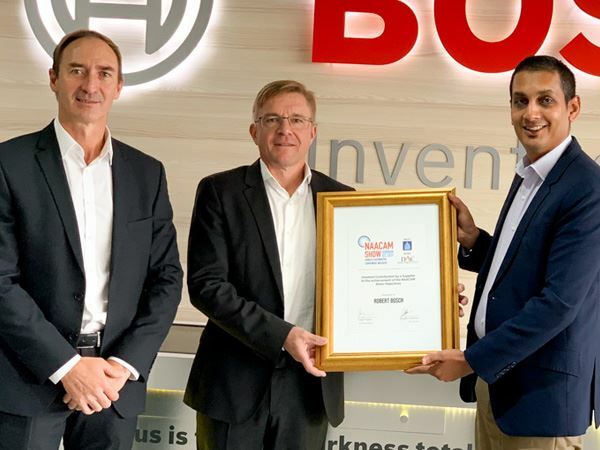 As one of the key exhibitors at the 2019 edition of the NAACAM show, Robert Bosch SA has been officially recognised for their contribution to enabling the show to achieve the organiser's objectives. Not only was Bosch an exhibitor at the recent show, but also provided key note speakers including Bosch Africa President Markus Thill, as well as the Vice President for Marketing, Rudolf Billau. Bosch South Africa's Managing Director, Michael Kloss was also a member of the show organising committee for 2019. More info to follow on autoforum.co.za and in our upcoming print edition.